I was recently skimming the CoffeeGeek site and came across an interesting opinion piece by Mark Prince about the “state of espresso” at the end of 2010. No other area of culinary production would support such a thing…a chef who can cook pasta to perfection (al dente) but lacks the basic skills to prepare a sauce won’t stay a chef for very long. Taking core components, and blending them together in different ways to produce something that’s more than the sum of it’s parts, is an essential skill in any food craft – in fact, it is the craft; one that needs to be practiced and honed on a regular basis. I admit my own participation in the singular fixation and pursuit of quality single-origin coffees…I mean, who doesn’t want to associate themselves with some of the best quality beans on the planet? However, it occurred to me that this might be at a cost: to the clients in higher priced “prestige” single origins; a loss to my skill as a so-called artisan roaster; and to the detriment of the Specialty coffee industry generally. Simply put, blends demand more skill on the part of both barista and roaster…not just dark roasting out any uniqueness a coffee has to offer in the name of consistency (an approach employed too frequently); but rather the roaster, who year after year, manages to replicate blend flavour nuance regardless of season, bean availability, or origins profile. 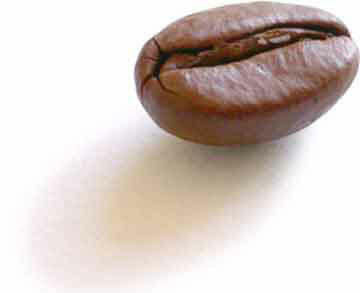 Particular brew method can be essential to the cup flavour profile of many single-origins. For example, Cuban Serrano makes for a fantastically spicy and long-finished single-origin espresso, but nothing (no matter how hard I try) brings out its overwhelming toffee note like the Aeropress can. Consequently, single origins might also trend more Baristas away from less forgiving espresso preparation…espresso tends to accentuate the most prominent notes, losing the subtleties and delicacies…espresso doesn’t always do justice to the flavours discovered in the “cupping.” I understand the appeal in this as someone who makes no illusion of being a highly skilled barista; quality single origins are consistent in the brewed cup and often reveal the nuances that espresso won’t, making it easier for the likes of me to opt for alternate and more consumer friendly “to-the-cup” brew methods. I’m not suggesting that roasters should spend more time cloistered away tweaking, profiling, cupping, then tweaking some more in the name of perfecting the blend…there’s already been enough of that in the name of perfecting the single-origin roast. Specialty coffees’ tenants of quality, ethics, sustainability, and transparency are best served (in the consumer market) by more of us getting out there and selling the stuff. I believe the way to do this (partly) is with the re-emergence of well crafted (drip, not espresso) blends. In my very limited experience, I’ve found that mainstream institutions and larger buyers go for blends over single origins…the cup that keeps the most number of palates happy. I think one of the best things anyone can do to broaden their coffee business is to introduce a consistent lineup of quality blends that are directly translatable to the home brewer. Single-origins will come and go, but a solid blend will weather any taste trend….and unfortunately, espresso isn’t most peoples’ day-to-day coffee drinking reality. Think what could be achieved in the furthering of the “art of the blend,” if quality driven single-origin roasters everywhere realized they’ve got some of the world’s best “blending-blocks” in their very own roasteries. If in 2010, I spent too much time in the pursuit of the single-origin, let 2011 be remembered as the year that blends re-established themselves as front-and-centre….and if not in the industry, then at least at Speakeasy. Single-origin coffees invite an understanding of our “likes” and “dislikes”…it’s in the absence (or abundance) of particular flavours and experiences that we appreciate the single-origin. Very interesting. I read Prince’s article a while back, but I’ll have to read it again now. Ever since being exposed to the specialty coffee world I have become biased against blends, but I think you make good points for the validity of blends. Greatly appreciated this post. I really enjoy single origins but some blends are out of this world. I’ve been working on our espresso blends the last few weeks and was encouraged.